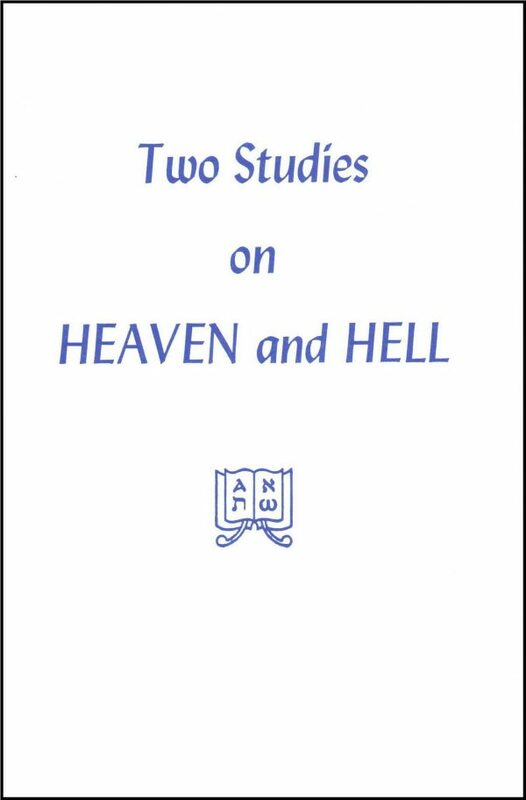 This booklet gives good introductory material on what Christ taught about heaven and “hell”, as well as revelation on this subject from the Old Testament and the epistles of Paul. This booklet gives good introductory material on what Christ taught about heaven and “hell”, as well as revelation on this subject from the Old Testament and the epistles of Paul. To quote the author in his introduction: “There was a time when I thought I knew this well. But this knowledge which seemed so clear, so blessed, so wonderful when it first dawned upon me, changed more and more into an unsolvable problem, yes, even a hideous nightmare, because of the way the matter was presented to me in all the churches and meetings I attended.” This study will help the reader begin to solve the problem in his own mind.